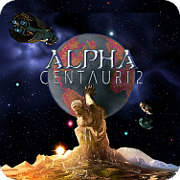 Alpha Centauri 2 Democracy Game (AC2DG) turn tracking thread. This thread would be for keeping saves of the game. Maybe not needed for every turn and every faction in a turn when beginning the game. It may change later. For now, starting save of MY 2102 for the Drones. This save will start new MY, Drones. MY 2104. Starts new MY, to drones. Man is a rope, tied between beast and overman?a rope over an abyss. A dangerous across, a dangerous on-the-way, a dangerous looking-back, a dangerous shuddering and stopping. What is great in man is that he is a bridge and not an end: what can be loved in man is that he is an overture and a going under. I love those who do not know how to live, for they are those who cross over.